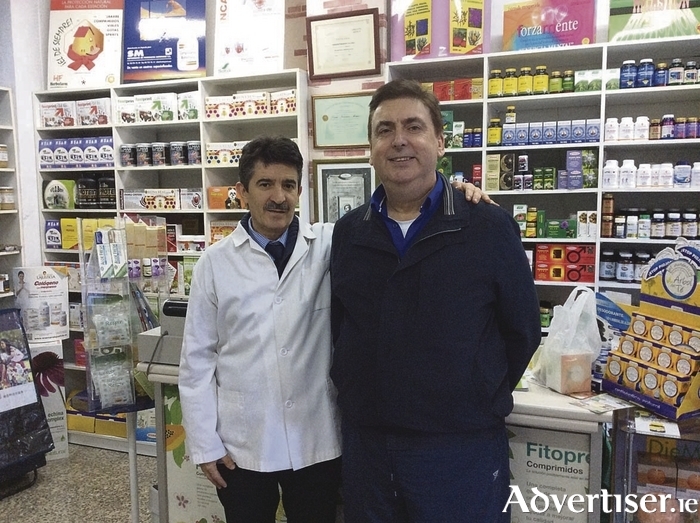 Patrick Murphy, skin herbalist, and Professor Joaquin Fernandez Alcaraz at the recent Supertronic health training in Murcia, Spain. Mr Murphy has been trained by the professor and is fully trained and accredited in electrodermal screening. For more information see skinherbalist.com. Chronic pain in the muscles and joints of the back or neck can seriously affect a person’s quality of life. Although taking standard anti-inflammatory treatments, physical therapy, and medications can sometimes mask this pain, Care Cure is more concerned with treating the root cause of the discomfort and ensuring that the pain does not come back. Therefore the company gives a free consultation to identify the source of the pain before recommending treatment. The most popular treatment for most types of body pain is acupuncture combined with Chinese massage. Acupuncture treats pain by encouraging the brain to release natural painkillers called endorphins. Releasing endorphins relaxes tense muscles and delivers fresh blood to the area where the acupuncture needle is inserted. Combined with Chinese massage, acupuncture can act to remove toxins and reduce swelling in the joints and body. Chinese medicine treatments have been known to speed healing for tissue that is damaged, such as torn tendons in the neck, or back sprain, and it can also improve a sluggish circulation and move fresh blood to where it is needed in the body. The clinic treats a range of issues such as joint and soft tissue repair, neck and shoulder injuries, sciatica, knee and foot injuries, headaches, muscle pain, sports injuries, tendonitis, carpal tunnel syndrome, and frozen shoulder. Are you feeling the strain? If so call Care Cure on 091 539996/086 2159282 to book your free, no obligation, consultation. Clinics are located in Galway city and Tuam. See www.carecure.ie for further details.